The Cape winelands tour, Constantia winelands and wine route including Paarl, Stellenbosch, Franschoek and Constantia wine farms. 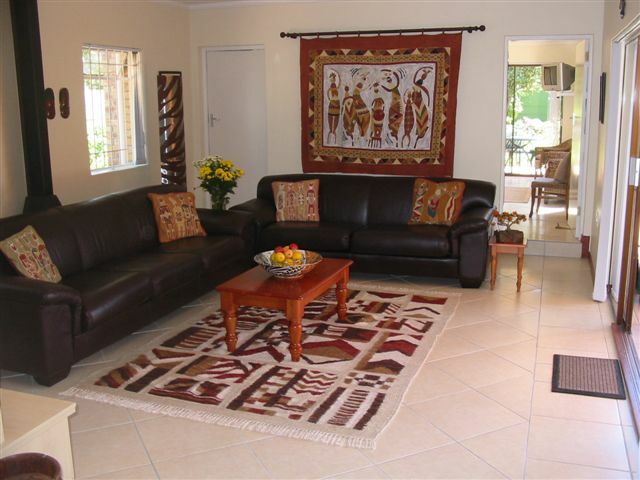 Furnished and decorated in an Africa theme, the deluxe Cape Town Villa suite has many modern luxuries and a large outdoor patio overlooking the gardens. Included is a shared swimming pool and sundeck plus secure garage parking with direct Villa entry. 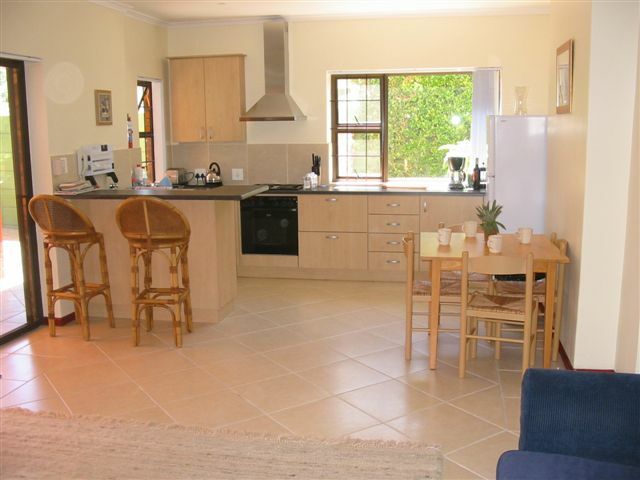 Deluxe Cape Town villa offering luxury accommodation at an affordable price. 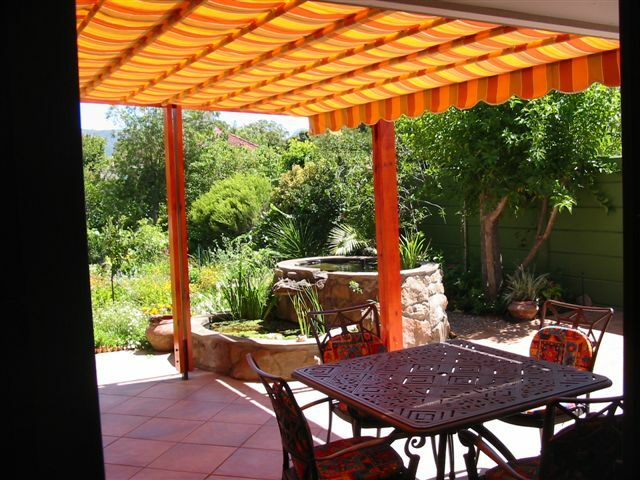 Ideal for entertaining family and business guests. 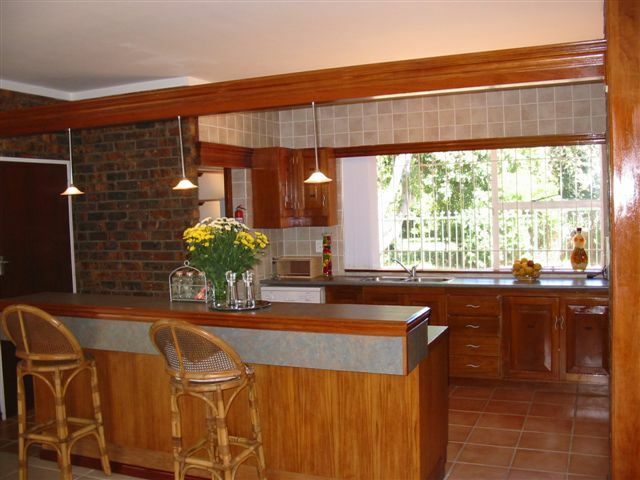 Spacious 97m2 suite with large rooms and open-plan kitchen, lounge and dining room. Secure parking in own garage. Overlooks the fountain and gardens.